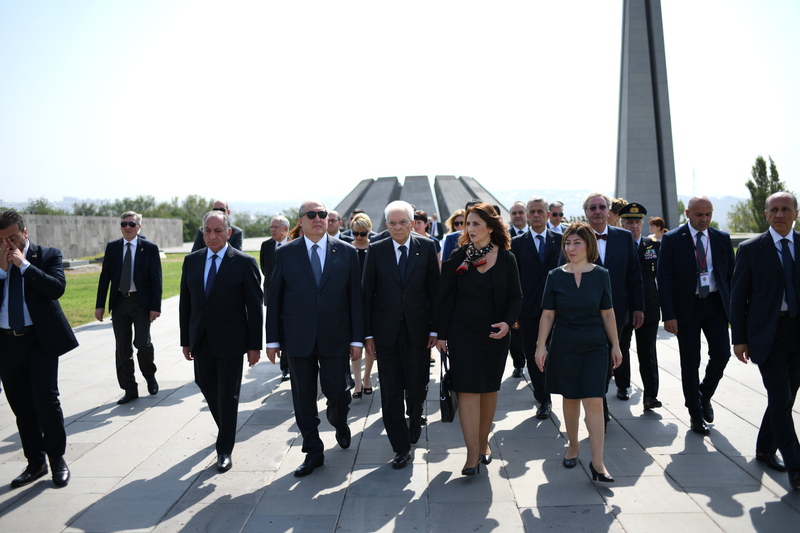 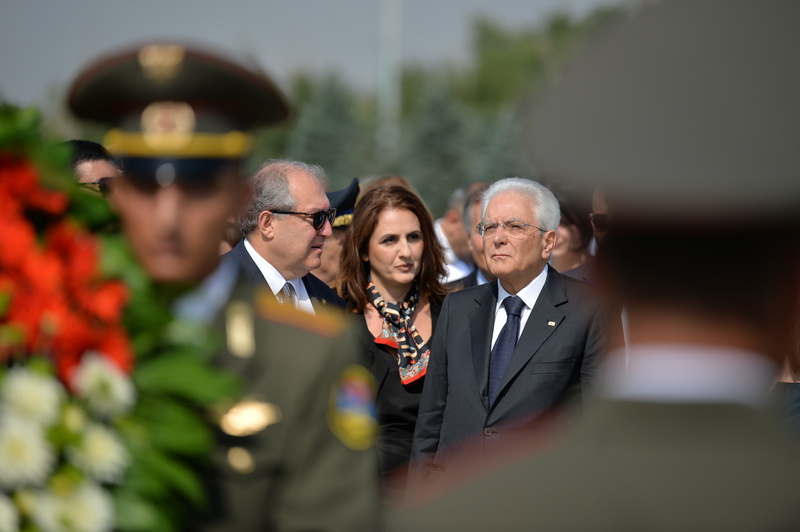 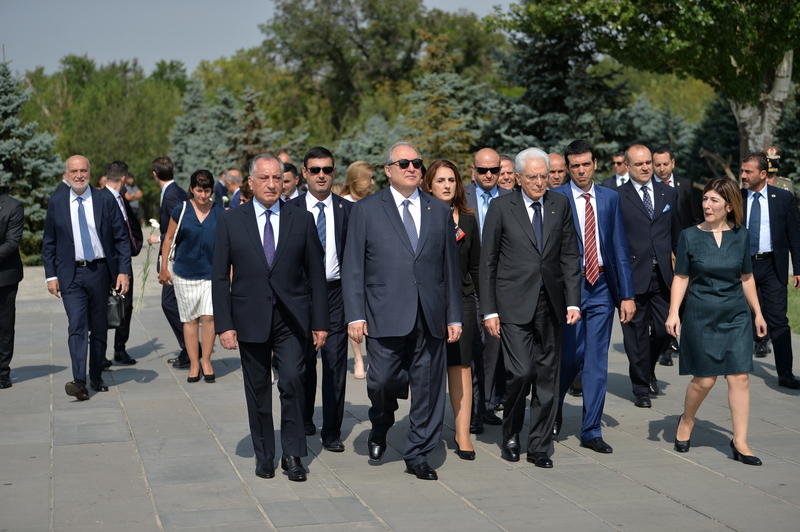 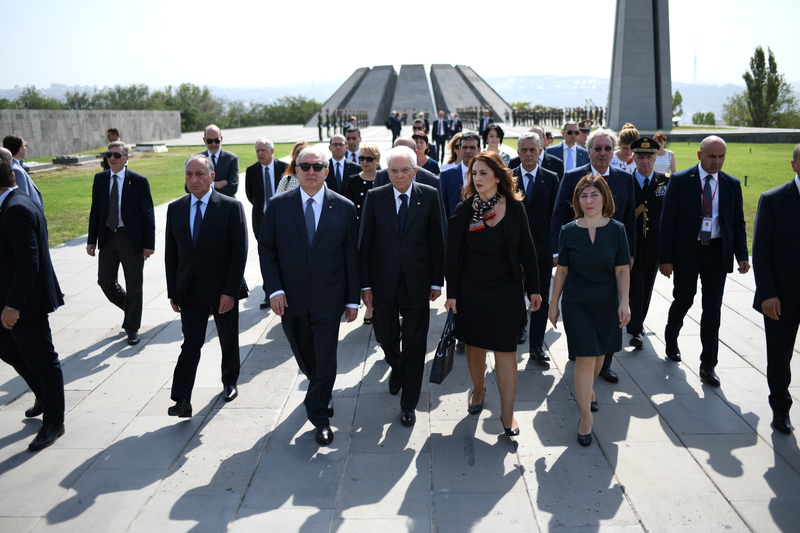 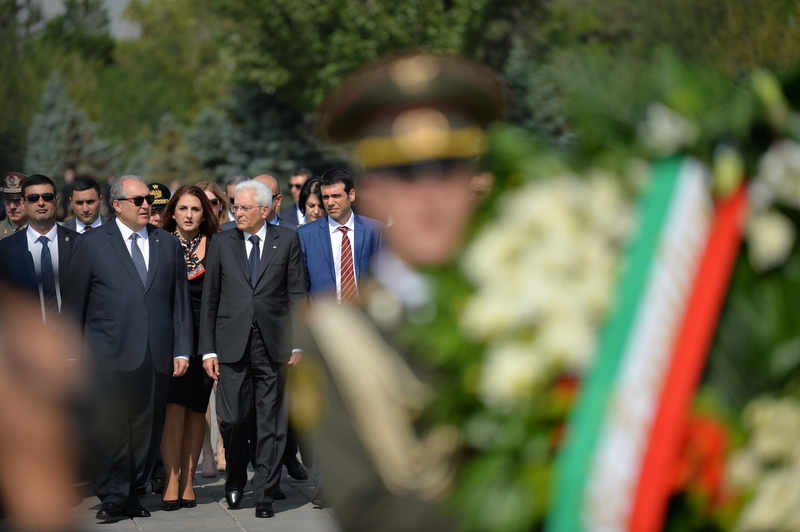 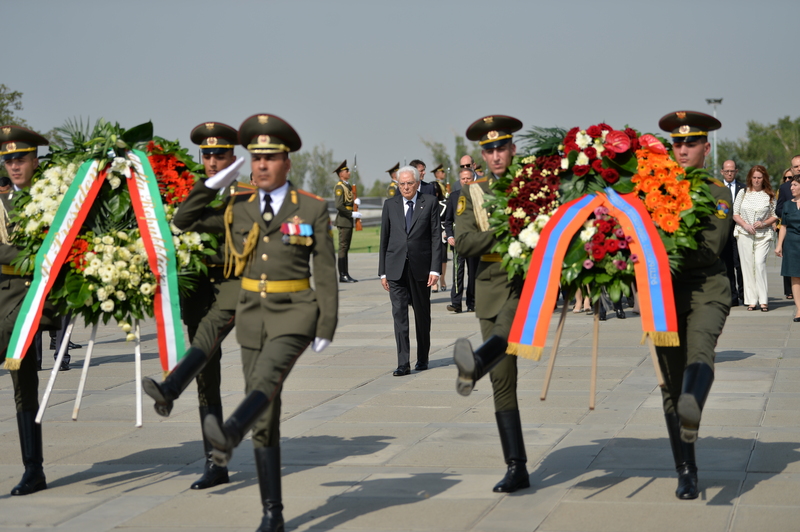 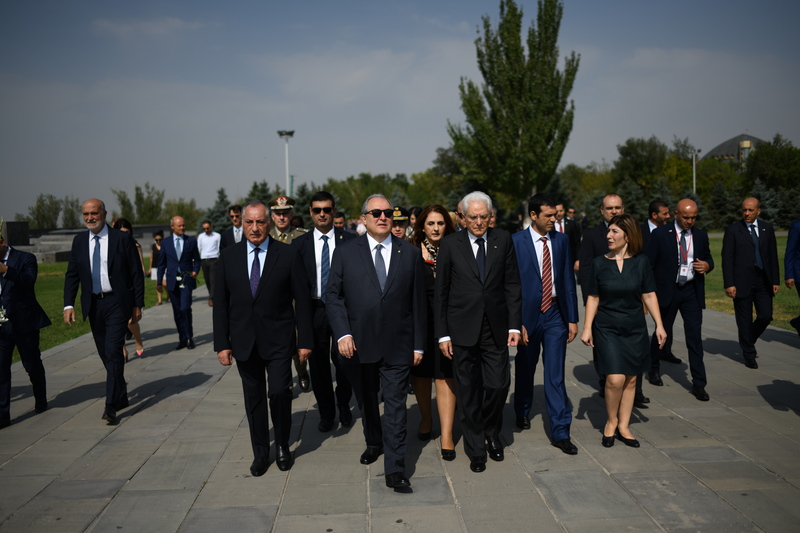 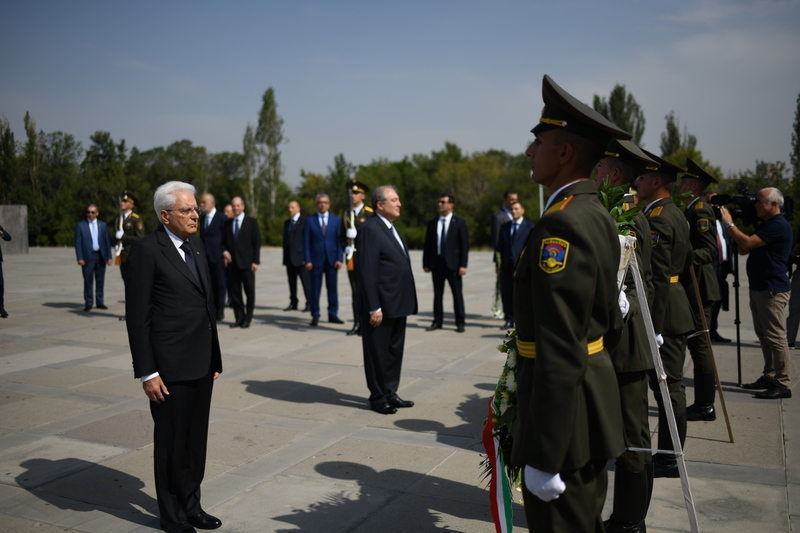 President of Italy Sergio Mattarella, who is in Armenia on a state visit, and Ms. Laura Mattarella, accompanied by President Armen Sarkissian and Mrs. Nouneh Sarkissian today visited Tsitsernakaber – the Memorial dedicated to the memory of the victims of the Armenian Genocide. 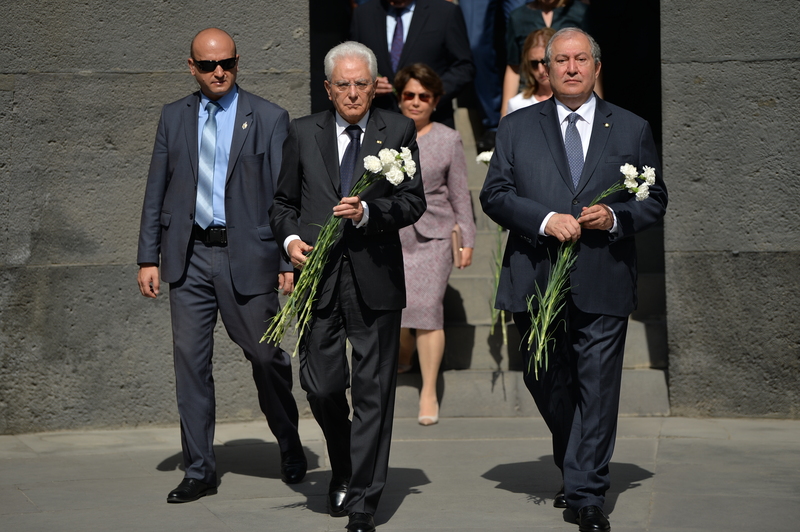 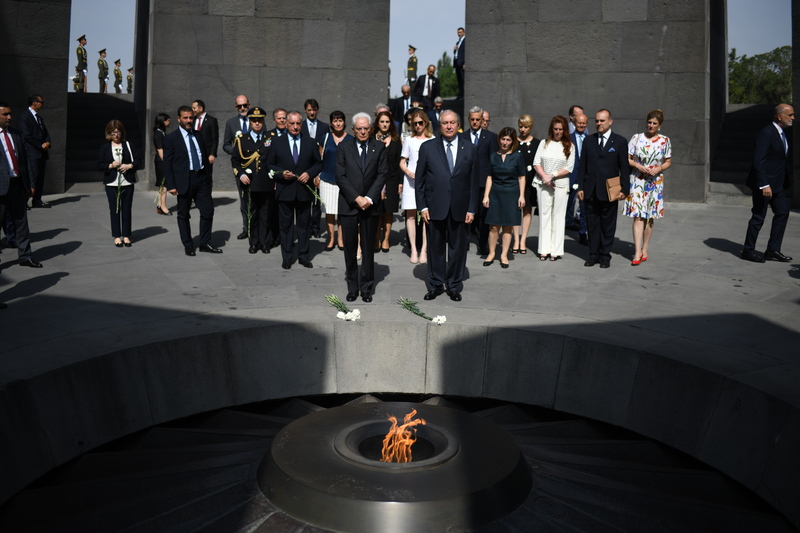 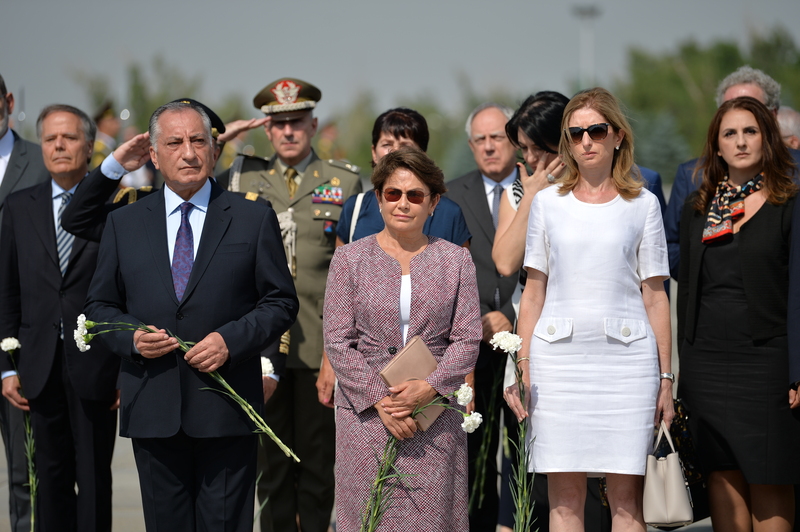 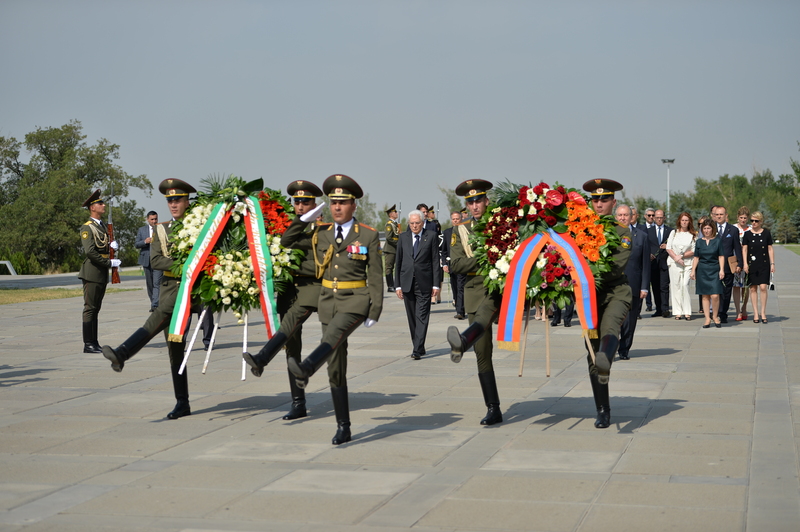 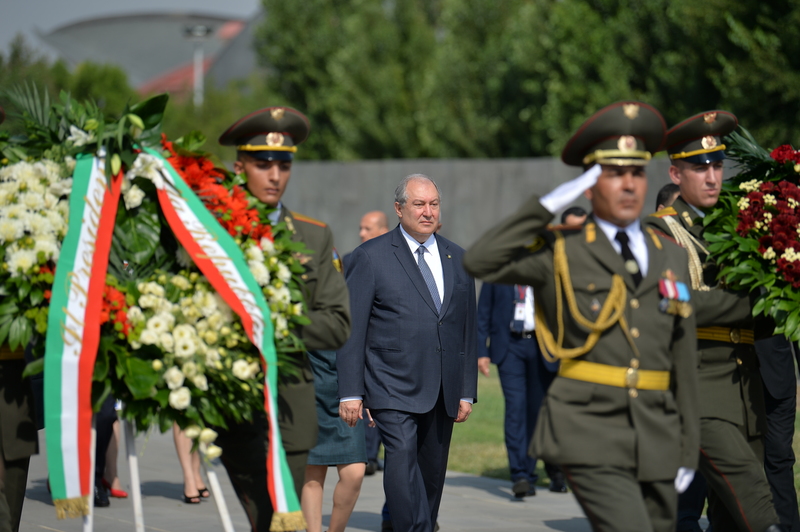 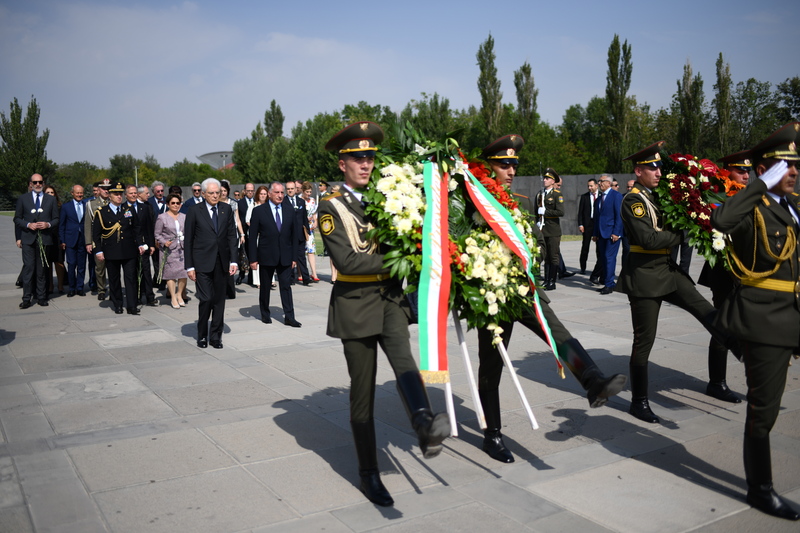 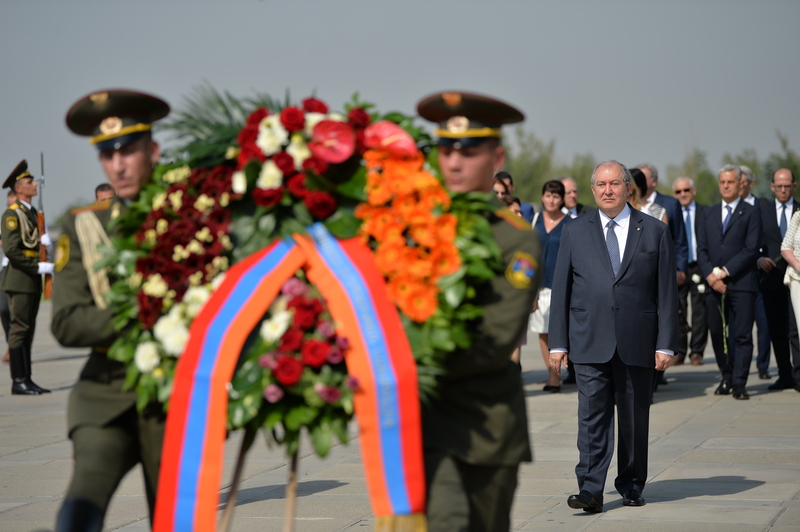 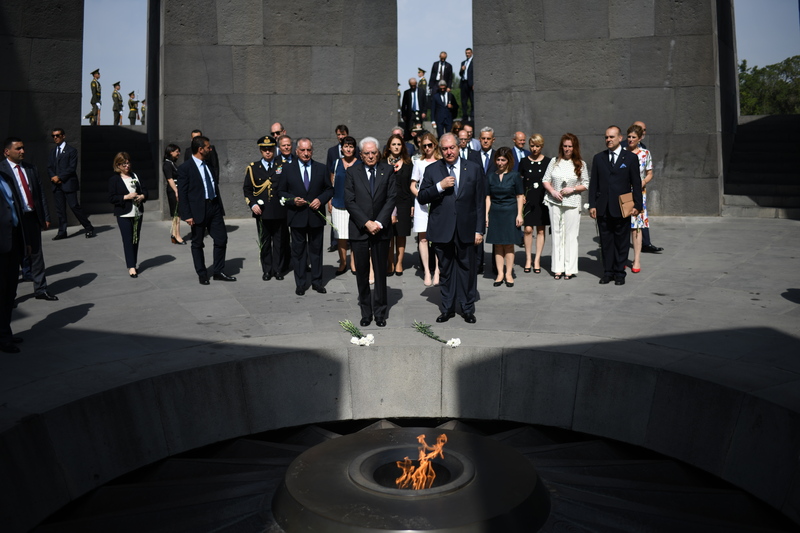 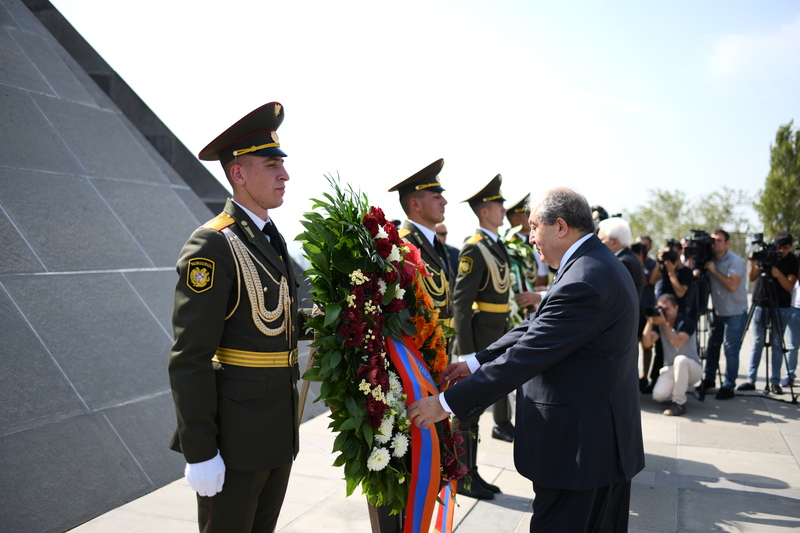 The Presidents of Armenia and Italy paid tribute to the memory of the victims, laid a wreath at the monument and put flowers at the eternal fire burning in the memory of the victims. 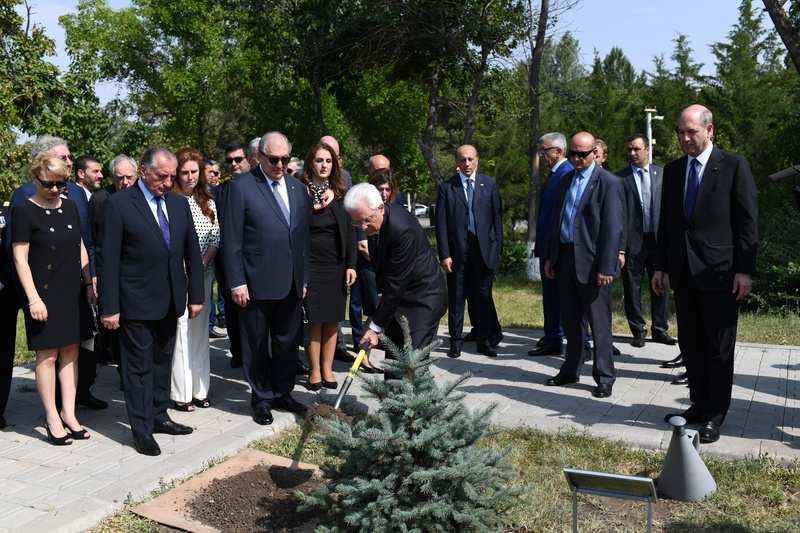 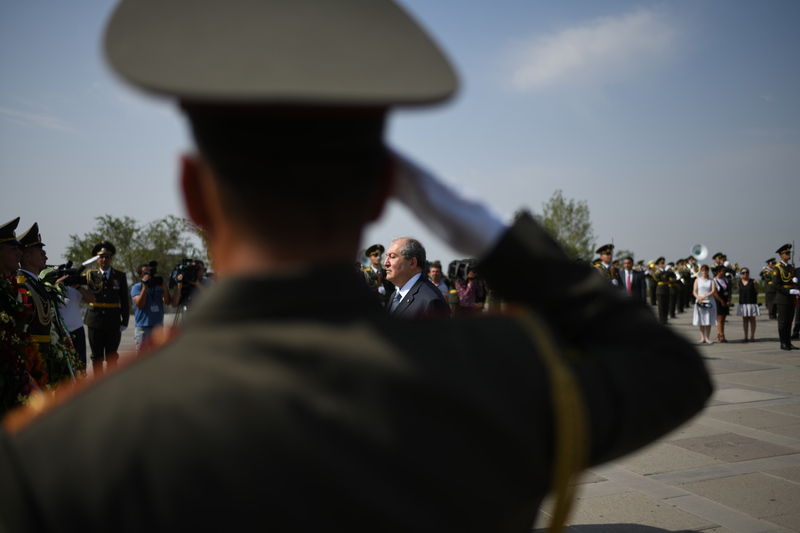 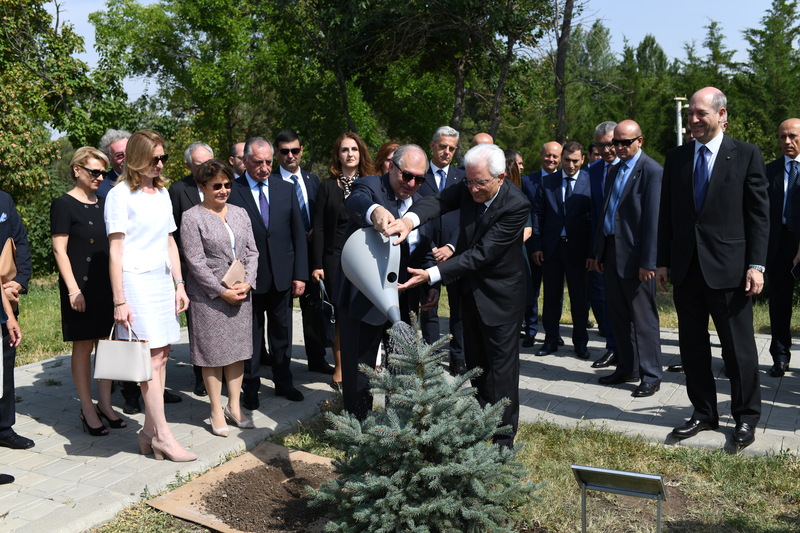 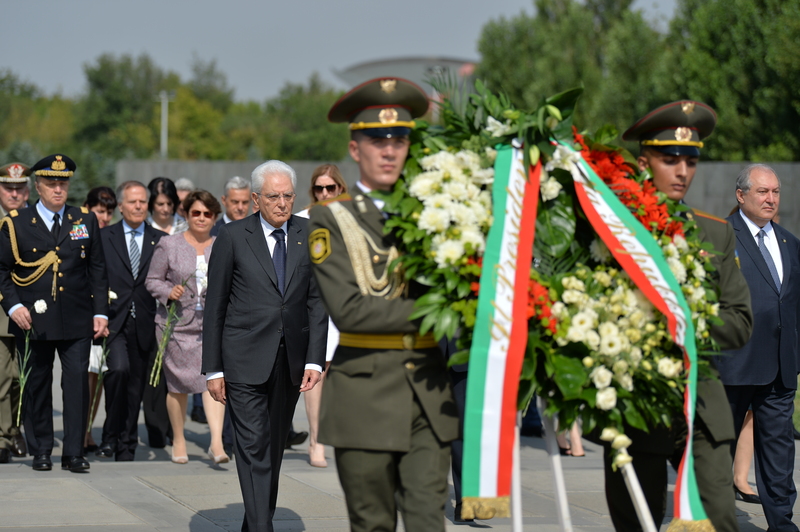 President of Italy Sergio Mattarella planted a fir tree at the Memory Alley of the Memorial.